Today a group of Members of the European Parliament (MEPs) submitted a progressive pilot project proposal on fire safety to the Committee on Industry, Research and Energy (ITRE). This proposal would fund an EU-wide analysis and assessment of available fire safety statistics aiming to mend the data gaps on fire statistics. The European Fire Safety Alliance welcomes and support the proposal for this project to collect European fire data. “Data on fire casualties and fire safety is widely fragmented across Europe. The pilot project should map and fix the data gaps and pave the way for improved fire safety awareness and fire prevention in Member States” explained the Danish MP Bendt Bendtsen, one of the 24 MEPs who support this proposal. He added “Thankfully the rate of fire fatalities is dropping in Europe for the past decades. We would like to keep that trend going, and to help our national governments in their fire prevention efforts.” The pilot project proposal is also a relevant follow up to the new European Performance of Buildings Directive (EPBD), just published in the Official Journal of the Union. “The revised buildings directive gives real momentum to the renovation of Europe’s buildings, and this will be a golden opportunity to improve fire safety for our European citizens at the same time” said Bendt Bendtsen. The project, tabled as an amendment for the EU budget 2019, will result in two important sets of recommendations. Firstly, the pilot project would allow to identify possible European actions to support enhanced data collection and streamlining in statistics on fire casualties, fire safety and fire prevention. The pilot project should also complement and support any initiatives by the newly established Fire Information Exchange Platform (FIEP) by the European Commission. The ITRE Committee will vote on 10 July. If approved, the proposal will be sent to the Budgets Committee of the European Parliament. 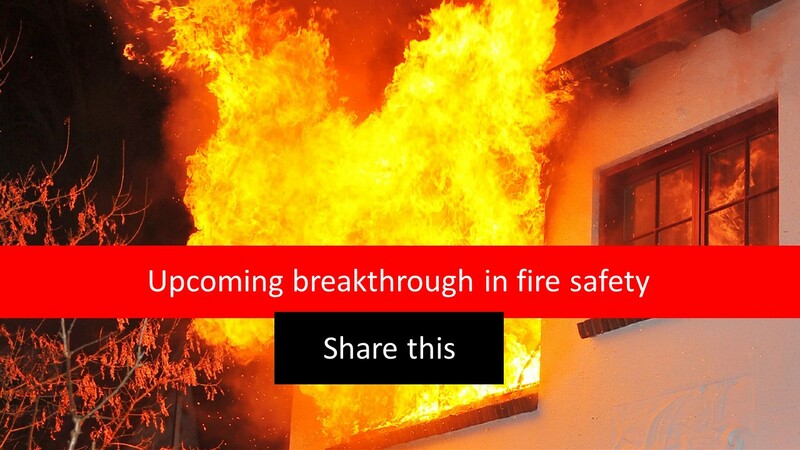 The EuroFSA invite all MEPs to support this amendment and this initiative which will strengthen the EU commitment to fire safety and support a breakthrough in fire statistics and prevention.